« Could a Birth Injury Cause Autism? First the good news: the rate of wrong site and wrong patient surgeries in VA hospitals has been decreasing. Now the bad news: the rate of near misses in wrong site and wrong patient surgeries is increasing. 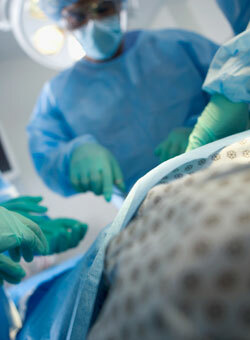 A review published in a recent issue of Archives of Surgery found that wrong surgeries decreased significantly between 2001 and 2009 and at the same time the number of close calls rose. Some of the reasons for both wrong surgeries that continue to occur and close calls include the lack of standardized processes, look alike packaging of different implant components, time pressurse, distractions and fatigue. While the good news is certainly reason for hope, it is important that close calls also be monitored and reduced before the close calls become adverse events that harm patients.